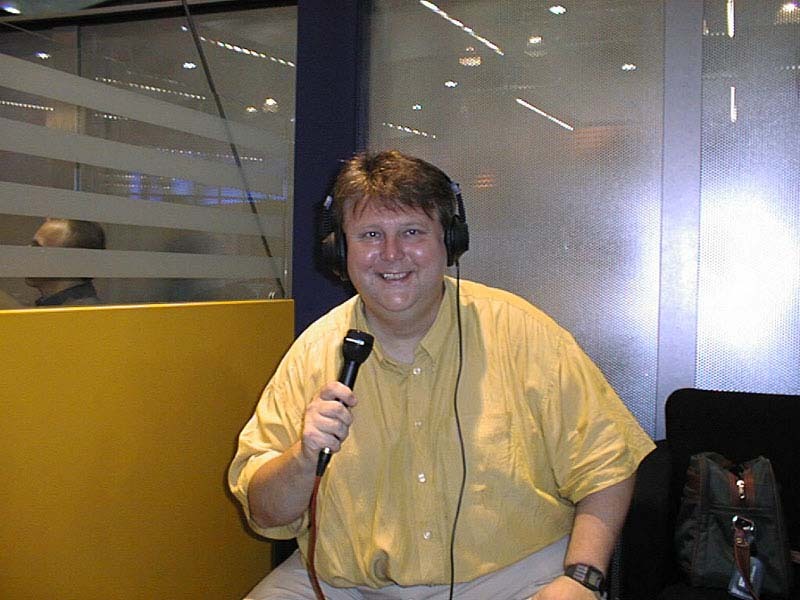 The AV world has lost one of its most colourful characters with the death of journalist and broadcaster Bob Tomalski at the age of 47. Bob died of a heart attack on Saturday 13 January. He had been unwell for several weeks prior to his death, though he had continued working. After spending eight years in a hi-fi retail with Unilet, Bob moved into journalism with Dennis Publishing and then spent more then a decade at WV Publications (now known as WVIP). establishing a reputation as a brilliant technical journalist, but also as something of an entertainer. In his time on "Making Better Movies", Bob famously created a spoof story about a Russian-made wooden camcorder called the Camcordski which was set to take the budget end of the market by storm, mocking up the device himself so that he could include a photograph alongside the story. The spoof fooled many readers and a number of manufacturers too. In addition to his print journalism, Bob was also a regular contributor to a number of TV and radio programmes, including You and yours, The Big Byte, This Morning and BBC Breakfast News. Most recently, he had a secured a regular "Technofile" slot on Sky. Bob also made the news in his own right in 1996 when, while visiting one of the Car Boot sales he loved to plunder for rare and obsolete bits of technology, he bought a betamax VCR and set of tapes which turned out to contain two hours classified footage of the Army training and anti-terrorist exercises in Northern Ireland. That story made the BBC Nine o'clock News. He will be sadly missed by friends, colleagues, and the executives who had to face up to his incisive questioning around the world. Bob's funeral took place on Friday 2nd February 2001 at Merton & Sutton Cemetery, Lower Malden Road/Garth Road, South London. The service was conducted by Father Taylor with readings by Caroline Padley and speeches by John Briggs and Trevor Brook. I should start by saying I didn't know Bob for long - and I didn't know Bob the man either - I'm not sure that many of us did. 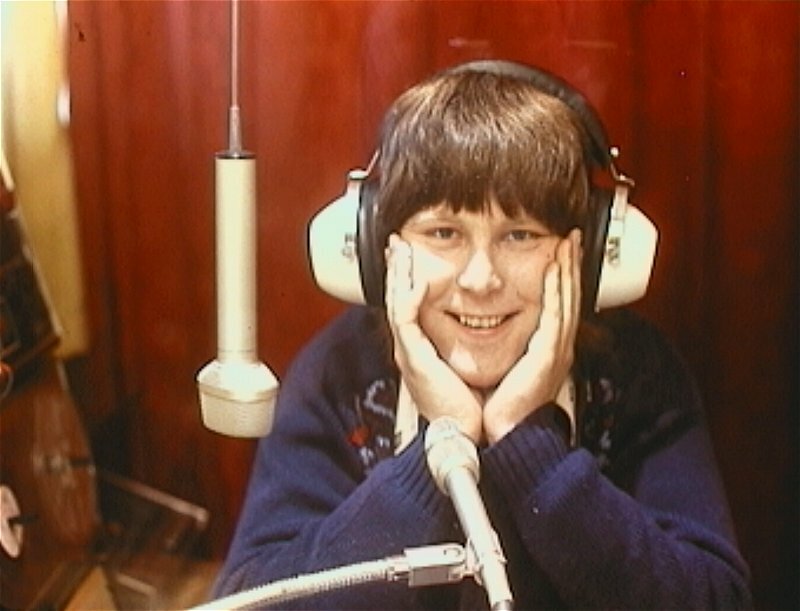 But I did know Bob the broadcaster, Bob the encyclopaedia, Bob the patient problem solver and Bob the smiling genial gentle giant. 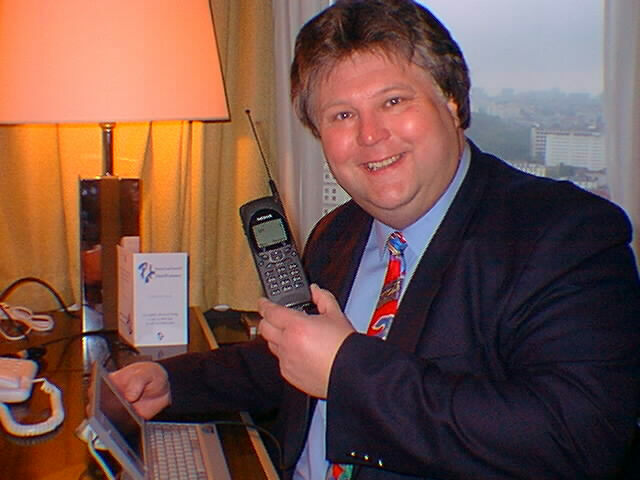 For me and thousands of LBC listeners, Bob was Inspector gadget. With a familiar cry of 'Greetings' he bounced into the studio normally accompanied by a large suitcase with the latest silver or black box stuffed full of circuit boards and silicon chips - and a team of wild software engineers couldn't have restrained him for explaining the benefits and pitfalls of this latest offering. I took over the Saturday morning show where Bob was already resident in January last year. Bob's section was just 30 minutes long - but it was clear that with my love of gadgets and Bob's pure and unadulterated enthusiasm for his subject we had to extend it to an hour, which we did almost immediately. In a world that is pushing us all headlong into the network, wired, digitised and pervasive world of technology - Bob was there to make sense of it all. He truly enjoyed teaching people how to understand the intricacies of his work. His wealth of knowledge solved hundreds of problems for listeners with modems that wouldn't connect or video's that wouldn't tune - and even the simplest problem was handled with care and consideration for those people for whom techno speak was not their first language. clashed. In fact our major disagreement was his belief in Windows and PC's and my love of Apple Macintosh. Bob would sit and listen patiently while I attempted to defend the Mac in a PC dominated world - happy to give me my two penny worth. Bob was generous to a fault as a broadcaster - and never ever corrected me - at least not so as the audience could tell - but when he thought I was talking completely out of the back of my hat - which is not unusual - he would raise his eyebrows in surprise as if to say - are you sure about that - but we were always on the same team on air. I say team - let's be honest - this was Bob's hour. I'd introduce each caller by name as in - so Fred you're live on LBC - what can we do for you - and the caller would reply - hello Bob - and who could blame them. Bob's breadth of knowledge was staggering - and I should add irreplaceable. I'm not an especially religious man - and I'm not sure I know where we end up on the next stage of our voyage - but wherever it is I have a sneaking suspicion that Bob is able to watch down on us today. And I am pretty certain that he has a broad smile on his face - for two reasons. The first one is that he would smile to see so many people here today. he might even be faintly embarrassed - Bob was not a man to make a fuss on his own account. I'm not sure he ever knew how many people thought of him as a friend and how many people wanted to pay their respects to him today. And secondly because wherever it is he is watching from - for all my protestations to him that it should be run by Apple Macintosh - I bet you he's found out that it's run by Windows on a PC... and he knows he was right and I was wrong. Bob often surprised me by ringing from a mobile for a detailed engineering assessment of some manufacturer's technology or claims for a product. And then, after a half-hour long conversation, he would announce that he was in Tokyo or somewhere equally outrageous... and had better go. There was no one like Bob and I shall certainly miss that cheerful, ebullient and irrepressible personality. I first meet Bob "T" in the summer of 1972 when there was a knock on the door of my parent's house in Colliers Wood. There behind it was larger than life Bob. From memory he asked if there was a chap interested in radio about at which point I told him it was me. I was 16 at the time and for my sins had got the radio bug, the pirate radio bug. I had built a modest medium wave transmitter and used to chat with other pirates in between playing some not so mainstream music that you certainly wouldn't have heard on the stiff aunty beeb. Bob and I started to chat away during which he mentioned that he'd overheard me (on medium wave) enthusing about a soul pirate radio station called Invicta I liked listening to where upon he re introduced himself as aka Roger Tate one of the stations DJ's. So began a friendship that lasted 28 years. "Large as life and twice as big". There's no doubting that he was a big guy but he was also big in stature. A kind gentle giant of a bloke who was a real diamond geezer as they say "sarf of the river". In 1970 Radio Invicta led the way for specialist music radio stations by becoming the first soul pirate in Britain. For a few hours each weekend, followers in London could tune to 92.4 FM and hear a selection of the latest black American releases - music only played by the BBC's fledgling Radio 1 if it crossed over into the national pop chart. "When I was young I loved the American soul music of the time, but by the time I was of age, that type of music wasn't being played in the clubs. Annoyed by what they were playing, I started collecting the old soul music I liked - Motown, Atlantic and Stax. In the course of hunting these down I hears much new soul which was just as good, but which you couldn't hear anywhere. There was just no outlet for it".